Although our normals working hours are from 8am to 4pm but we totally understand that normal working hour isn’t always a great fit with real life. At Nitroxis, we solely focus on tasks rather than your time schedule. At Nitroxis, we all enjoy a more flexible working style and flexible working hours. Create a schedule that works with your life or work remotely (not possible for every position but we can manage) when you can’t be in the office. We welcome families and provide support for our employees’ family lives. In addition to allowing flexible work hours, we support for spouses, parents, and soon-to-be parents with relocation services to help with the bureaucracy that comes with changing locations, by organizing fun events for families with children, and more. 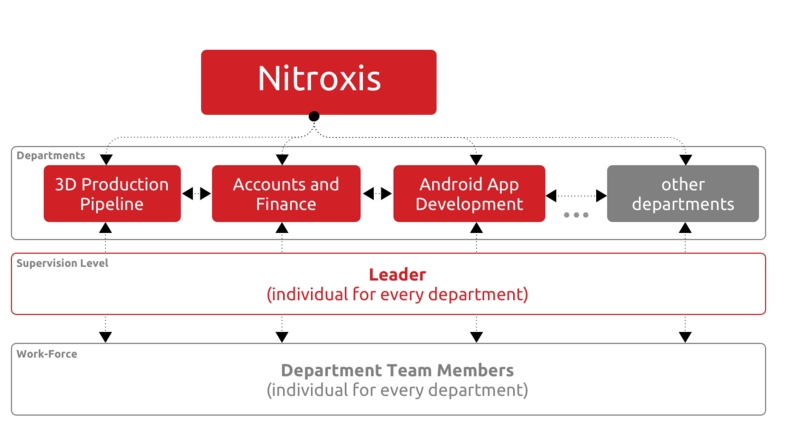 We’re all one team at Nitroxis, working together towards the same goals. With our annual bonus scheme, every employee shares a part of our success when we reach those goals. We also recognize those who embody what Nitroxis is all about, making sure Nitroxis fellows who go the extra mile are handsomely rewarded for inspiring us. We conduct annual and 5-years internal survey based solely on their performance and dedication towards the company to promote ranks of our employees.